Now is an ideal time to sign up to VisitorVerdict so that you can access the service at reduced rates. The service offers real-time results on a user friendly online dashboard and provides you with information about who visits your museum, why they are there, what they do on their visit – and crucially – what they think of their experience. The results you receive are given industry context by providing a benchmark against similar museums. “VisitorVerdict is a fantastic way of generating quick, comprehensive and robust insight from your visitors at low cost and with minimal burden upon your staff and volunteers. The national benchmarking facility that also comes with it sets participants’ results into the sort of context that can speed up decision making within organisations and help them take more visitor-focussed decisions,” said Steve Mills, Director of BDRC Continental. AIM Members that already participate in AIM VisitorVerdict will need to confirm their details before September 30th to register their interest in continuing with the service and to take advantage of the special early bird rates. The service offers real-time results on a user friendly online dashboard. The programme gives you information about who visits your museum, why they are there, what they do on their visit – and crucially – what they think of their experience. The results you receive are given industry context by providing a benchmark against similar museums. Since October 2013, AIM in partnership with BDRC Continental, has run a free online visitor benchmarking survey service called AIM VisitorVerdict. 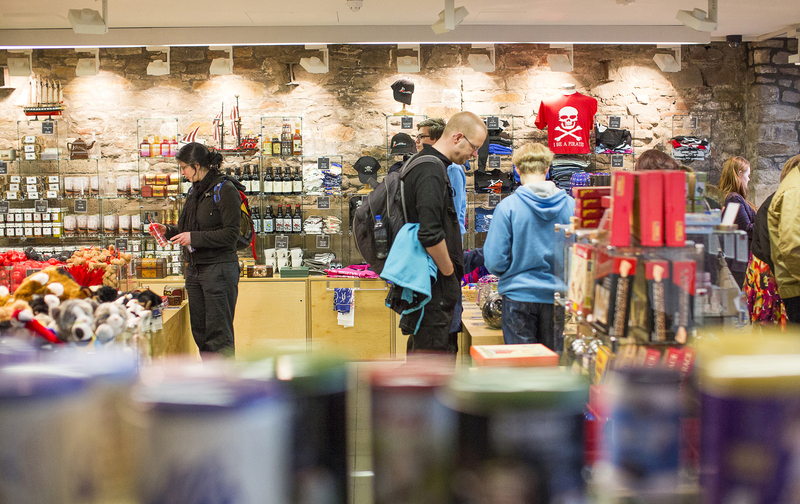 This scheme has helped AIM members from across the UK to gain a better understanding of their visitors, with data from the visitor surveys generating insights which can help prioritise visitor experience improvements, support funding applications, inform marketing strategies and guide staff and volunteer training. VisitorVerdict has been developed using best practice from the well-known visitor attractions research programme, the ALVA Visitor Experience Benchmarking Survey. VisitorVerdict offers real-time results on an easy-to-use online dashboard and gives you information about who visits your museum, why they are there, what they do on their visit – and crucially – what they think of their experience. The results you receive are given industry context by providing a benchmark against similar museums. Since October 2013, AIM has been running a free online benchmarking service called VisitorVerdict and hundreds of museums and heritage sites across the UK have taken part. VisitorVerdict has helped many museums to better understand their visitors and their experiences and data gathered via the benchmarking has helped to improve marketing, strengthen funding bids, support business planning and create worthwhile staff and volunteer training. The team at BDRC Continental have delivered the project on behalf of AIM and will be taking the initiative forward post funding from October 1st 2015. We sat down with BDRC’s Director, Steve Mills, to find out more about VisitorVerdict and what people can expect from it in the years ahead. Steve Mills, Director of BDRC Continental and AIM VisitorVerdict expert! AIM: What has it been like working on VisitorVerdict over the past two years Steve? SM: Seeing the change in mind-set of some of these museums as they become more visitor-focussed has been incredibly rewarding. Many have never had any feedback from their visitors before, at least not as robust and comprehensive as VisitorVerdict can provide for them, so to chat with users of the service at the various workshops we have been running and to see their enthusiasm has been a real highlight. In particular, seeing users appreciate the power that benchmarking can bring to their organisation and the decision making within it, has been gratifying. AIM: What positive impact have you seen on the museums that have taken part? SM: Good insight into your visitors naturally leads to more visitor-focussed decision making within your organisation. VisitorVerdict has helped organisations move away from decision making based on ‘gut feel’ towards evidence-based decision making. Visitor insight should never be the sole reason for taking actions but at least provides that initial basis for discussion. VisitorVerdict has elevated the ‘voice of the visitor’ to the highest levels of some organisations, using key information to regularly report to Trustees for example. AIM: Have you any good examples of how VisitorVerdict works best? SM: VisitorVerdict tends to work best as a means of helping organisations to prioritise investment, whether this investment is in terms of money or time. We’re all short of resources, so VisitorVerdict helps us to focus our investment in the areas where they will generate greatest return for the museum. At Didcot Railway Centre for example, VisitorVerdict has worked well as an ‘issue raiser’, highlighting that the shop was under-used and that the range of merchandise needed attention. This prompted a major review and action taken to address the issue and a year later the shop has been making a significant profit for the first time. AIM: VisitorVerdict is an online service for a number of reasons and it now has a new website – can you explain more about this? SM: VisitorVerdict operates completely online, with the whole process of visitor survey invitations, data collection and reporting of results hosted on a single website. This keeps it simple for museums to use. To date this has been a functional site, but we have recently launched a new website http://www.visitorverdict.com/ which includes not only access to this existing online system but also hopefully accelerates the process of sharing good practice across the sector. It includes case studies from users (which we are always interested in adding to), blogs, ways of using VisitorVerdict and advice / videos on using VisitorVerdict in practice as well as ways of getting in touch with the VisitorVerdict team. AIM: Why do you think AIM members should use VisitorVerdict Steve? SM: In a nutshell, VisitorVerdict is a fantastic way of generating quick, comprehensive and robust insight from your visitors at low cost and with minimal burden upon your staff and volunteers. The national benchmarking facility that also comes with it sets participants’ results into the sort of context that can speed up decision making within organisations and help them take more visitor-focussed decisions. AIM: What would you say to encourage museums to use VisitorVerdict? SM: You can use VisitorVerdict to help you with all sorts of issues within your organisation, from the daily operational decision making to the less frequent, more strategic stuff. You will also be part of a growing community of museums who are using VisitorVerdict as a source of sector-wide insight which is improving not only their own museum but raising standards across the sector overall. AIM: VisitorVerdict will be changing soon – how will it change? SM: The main development is that we will be extending the VisitorVerdict service beyond AIM members, out to other museums and the wider visitor attractions sector – so more heritage attractions, gardens, wildlife attractions etc. Whilst AIM members and the museums sector overall will retain the ability to benchmark against their closest peers, this development also enables them to benchmark more outwardly against other attraction sectors, learning from the best practice of these attractions along the way. It’s a really exciting opportunity to allow all visitor attractions, whatever their size, to gain access to comprehensive insight about their visitors. AIM: Can you please tell us all about the pricing structure that will be in place from October 1st? SM: Although the Arts Council England funding period for VisitorVerdict comes to an end in September this year, we always planned a model for Visitor Verdict which allowed costs to be kept low in the long term. The online approach was key to this. You can find more details of the pricing structure on the website but AIM members will receive significant discounts – particularly if they sign up before 1st October. There is a tiered pricing structure depending upon the size of your museum, with discounted prices starting from just £95 for the first year. AIM: Anything else you would like to add Steve? SM: It’s been a real privilege to set up and run VisitorVerdict and the support that AIM has provided in that time has been invaluable, helping advise on its set up and in the ongoing efforts to encourage AIM members to benefit from the service, so a big thank you has to go to the individual executive team at AIM and also the members who have advised along the way. This is only the start for VisitorVerdict and we are really looking forward to even more AIM members and other museums and attractions joining and benefiting from the ongoing developments that are planned and from the shared insights that will results. AIM’s Visitor Verdict is a free service for all AIM members across the UK until the end of September 2015. So, if you have ever wondered how your visitors really feel about their experience, how they discovered you in the first place, or what their motivations for visiting you are – now is the ideal time to find out by signing up and taking advantage of the free support and insights that Visitor Verdict provides. 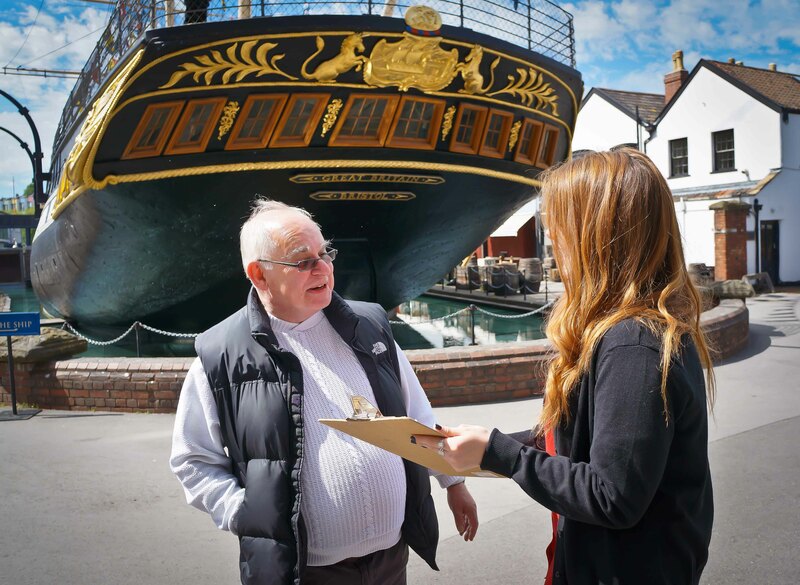 AIM Visitor Verdict has helped to make a positive difference to over 170 AIM members so far, including the team at ss Great Britain in Bristol. The results you collect through Visitor Verdict can support fundraising, marketing, staff and volunteer training and will help you to prioritise improvements. The service offers real-time results on an easy to use online dashboard and the results you receive are given industry context by providing a benchmark against similar museums. * Who visits your museum? * Why they are there? *What do they do on their visit? * What do they think of their experience? 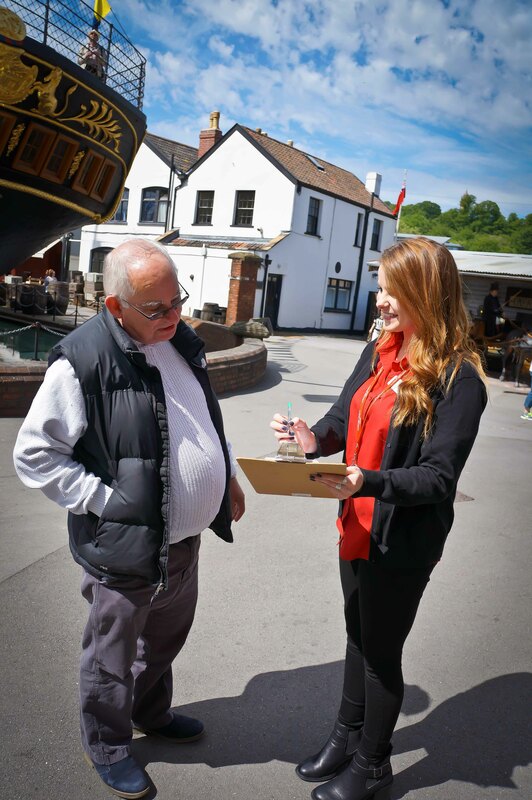 “Visitor Verdict is an invaluable tool to help any institution better understand their visitors,” says Liam Tolhurst, Retail and Visitor Services Manager at ss Great Britain Trust. 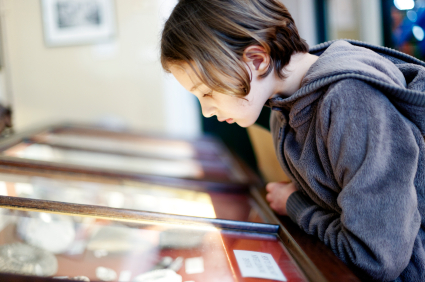 With the summer holidays getting underway, many AIM members will be benefiting from an increase in visitor numbers as people flock to the UK’s museums and heritage sites, so now is an ideal time to capture valuable feedback from your visitors by using AIM’s free visitor survey service – Visitor Verdict. If you have ever wondered how your visitors really feel about their experience, how they discovered you in the first place, or what their motivations for visiting you are – AIM Visitor Verdict can help you. Visitor Verdict is free for all AIM members until the end of September and you will receive support and guidance to help you at every stage of your data gathering. The results you collect through Visitor Verdict can support fundraising, marketing, staff and volunteer training and can help you to prioritise improvements. The service offers real-time results on an easy to use online dashboard and the results you receive are given industry context by providing a benchmark against similar museums. Who is using Visitor Verdict? What makes AIM Visitor Verdict different to other visitor survey tools? How do I start using Visitor Verdict? AIM Visitor Verdict helps you to measure your visitor experience, prioritise improvements, attract and retain sponsors and funders, contribute to accreditation requirements, guide staff training and inform marketing decisions. AIM Visitor Verdict is a completely free visitor survey service for AIM member museums until the end of September 2015. The programme has been developed using best practice from the well-known visitor attractions research programme, ALVA Visitor Experience Benchmarking Survey. The service offers real-time results on an easy-to-use online dashboard and gives you information about who visits your museum, why they are there, what they do on their visit – and crucially – what they think of their experience. The results you receive are given industry context by providing a benchmark against similar museums. Our next free workshop will be held in London on Monday July 6th from 11am – 4pm. “Visitor Verdict is a no-brainer. We use it widely to support and endorse changes that improve the running of Didcot Railway Centre, from our seasonal pricing structure through to our retail service”. To help you discover more about Visitor Verdict and how it can benefit your museum, AIM is providing a FREE workshop run in partnership with BDRC Continental and lunch and refreshments will be provided. This workshop is ideal for individuals and organisations that are already signed up to Visitor Verdict – or if you are thinking about signing up in the future. *Inform marketing messages, improvements, pricing decisions & staff training. *Attract & retain sponsors/funders & contribute to accreditation requirements. *Examples of how other museums are already using the service. *Hands on session to develop reports that meet your needs. *Opportunity to explore your own results if you already have 25+ completed surveys. *Top tips to make running Visitor Verdict easy to manage. On Thursday 11 June at 12.30pm, our partners BDRC will be presenting a 30 minute webinar explaining how using AIM’s visitor benchmarking survey tool, Visitor Verdict, can help AIM members take better decisions for their organisation. At a time when our resources are being increasingly squeezed, Visitor Verdict helps prioritise our investments in terms of both money and time. This session is appropriate both for those who already take part and those who would like to find out more about the benefits that participation in Visitor Verdict can bring. We will demonstrate the low effort needed to unlock this insight in a walk-through of how the Visitor Verdict survey works, the topics it covers, how to use the benchmarks and your role. Register to view the live broadcast at 12.30 pm GMT on Thursday 11th June or to receive the on-demand recording. If you have thought about using AIM Visitor Verdict but are unsure of how it can help you, or if you are already signed up but not sure what to do next – help is at hand. AIM and BDRC Continental will be hosting a live Tweet Chat on Thursday 21 May from 10 – 11am to help explain the benefits of using Visitor Verdict at your museum or heritage site. You can find out more about the easy to use Visitor Verdict dashboard, hear how other independent museums are already benefiting from Visitor Verdict and discover how it can support your business plan and funding applications. You don’t even need to have a Twitter account to view this chat, just find the AIM Twitter AIM Twitter account and follow the hashtag: #AIMVV from 10 – 11am on 21 May. What is AIM Visitor Verdict? Funded by Arts Council England, Visitor Verdict is the No.1 aspirational visitor survey model for small and medium sized visitor attractions and is free for all AIM members until October 2015. How can AIM Visitor Verdict can help me? How do I use Visitor Verdict? Since AIM Visitor Verdict started nearly two years ago, it has helped many AIM members to better understand their visitor experience. Funded by Arts Council England, AIM Visitor Verdict is a free service for all AIM members until October 2015. If you haven’t yet signed up, or if you would like to know more about how using Visitor Verdict can support your museum, you can take advantage of our free Visitor Verdict workshops taking place soon in Derby and London. Visitor Verdict is conducted by BDRC Continental in partnership with AIM and has been developed using best practice from the well-known visitor attractions research programme, ALVA Visitor Experience Benchmarking Survey. These workshops are free and lunch/refreshments will be provided. Each year, AIM National Conference hosts an impressive line-up of speakers and heritage experts who give talks and lead breakout sessions on a wide variety of topics that are relevant to independent museums. This year’s conference – which runs June 18 – 20 at ss Great Britain in Bristol – is no different, and with thirty speakers and twelve breakout sessions taking place, we have decided to highlight some of the speakers in a new series of interviews over the coming weeks to help give you a taste of what to expect this year. The man behind one of the most eagerly anticipated talks taking place at AIM conference this year is Bernard Donoghue. He has been the Director of ALVA since September 2011 following a career in advocacy, communications and lobbying, latterly at a senior level in the tourism and heritage sector. He was Head of Government and Public Affairs for VisitBritain, the national tourist board between 1997 and 2010. He is Chairman of the London International Festival of Theatre (LIFT); Deputy Chairman of the Tourism Alliance and Kids in Museums; and is a Trustee of the Geffrye Museum of the Home, the Heritage Alliance, the National Funding Scheme, and the Prince’s Regeneration Trust. He may have an impressive resume, but ultimately, Bernard is genuinely personable and deeply passionate about the heritage, tourism and arts sectors. For him, sharing and learning from best practice is the key to success and his talk at conference entitled ‘The Great British Day Off: Who do you think you are? 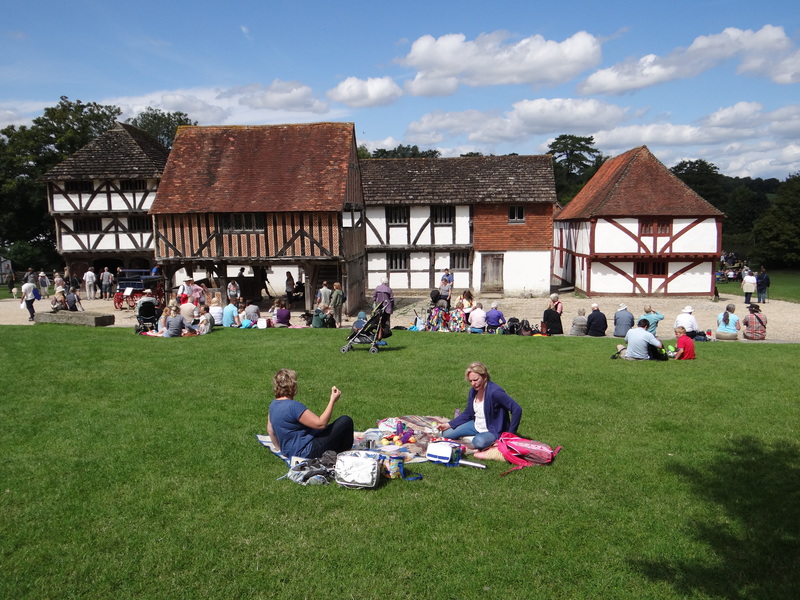 Meets Downton Abbey – What a great day out feels like’ is sure to attract a large audience. AIM spoke to Bernard about his hopes for conference this year and how it helps him in his own working life. AIM: Hi Bernard and thanks for taking time out to talk to us. To get started, why do you think independent museums should attend AIM conference this June? BD: The economic and political climate in which we meet is challenging, unpredictable and uncertain, but what is certain, is that museums are entrepreneurial and committed to sharing and learning from best practice. AIM conference provides an ideal opportunity to share and learn together. AIM: What are you personally looking forward to most about conference Bernard? BD: There are three reasons why I am looking forward to it. From ALVA’s perspective, we share our benchmarking scheme with AIM (AIM Visitor Verdict) so I am looking forward to seeing how that’s been working for members and how it is benefitting museums. I also love hearing about good practice and stories of success – and disaster. Quite often the tales of disaster are the ones you learn most from! Finally, as a lover of museums and art galleries myself, I personally enjoy meeting and visiting AIM members. AIM conference for me is a one stop shop for planning my own year ahead. AIM: It’s really good to hear how much you value attending conference, but what would you say to encourage others to attend? BD: Networking is a vital part of the recipe for success and learning nuggets of best practice can easily fill up your business plan – if you choose them wisely. AIM conference will be a great learning opportunity for all of us. AIM: What other talks and sessions are you inspired by on this year’s conference schedule? BD: I’m really looking forward to hearing from David Jubb and Michael Day at Battersea Arts Centre. I’m a Trustee of the National Funding Scheme; our DONATE scheme helped raise over £78,000 for them after their recent fire. I would love to know what the legacy has been for both the centre and the organisation’s leaders from that awful tragedy. Other speakers that I always love listening to are Tony Butler, Matthew Tanner and Sam Mullins and I will be visiting their talks. AIM: Thanks so much for your time Bernard and we look forward to seeing you in June. Before we go, is there anything else you would like to add? 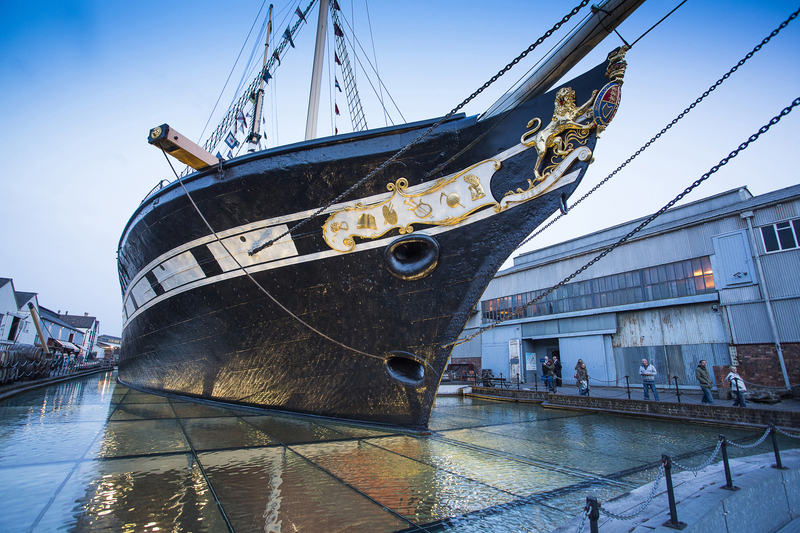 BD: Only that I will take any opportunity to pay a visit to the ss Great Britain – a visitor attraction which I hold in high regard! Early Bird booking for AIM Conference closes Friday April 17th.